Quebec City, April 11, 2018 – The intermodal transportation leader to Newfoundland and Labrador from anywhere in North America, Oceanex has swelled the ranks of sailors volunteering as whale observers for the Réseau d’observation de mammifères marine (ROMM). The crews of the Oceanex Sanderling, the Oceanex Connaigra and the Oceanex Avalon will be given special training to qualify them to gather whale observation data during their voyages. Véronique Nolet, a biologist and Green Marine program manager, will conduct the onboard training starting tomorrow. ROMM initiated the maritime industry’s participation in the data collection regarding marine mammals in 2015 with Groupe Desgagnés and Canada Steamship Lines, a division of the CSL Group. Green Marine subsequently became a part of the project financed by the Government of Canada through its Habitat Stewardship for Species at Risk program to develop the required training materials and facilitate networking with ship owners. “Oceanex makes numerous trips within the St. Lawrence Estuary, and these many passages will help us to collect accurate benchmark data throughout the season about the presence of marine mammals within this navigational corridor,” adds Nolet. The addition of the three Oceanex ships will bring the number of trained whale observation vessel teams to approximately 25, with additional observations made from shorelines and ferries in Matane, Godbout, Baie-Comeau, Rivière-du-Loup and Tadoussac and through an evolving collaboration with marine pilots. The Réseau d’observation de mammifères marine (ROMM) is a not-for-profit organization located in Rivière-du-Loup, Quebec, that has been working for the conservation and development of the St. Lawrence River and its marine life since 1998. Its integrated management approach involves the maritime industry’s various players to participate in a coordinated effort to preserve marine ecosystems. Oceanex Inc. provides full container load intermodal and less than truckload (LTL) transportation services to the province of Newfoundland and Labrador. The company operates two ice class con-ro vessels and one ice class container vessel, as well as a marine terminal in St. John’s. 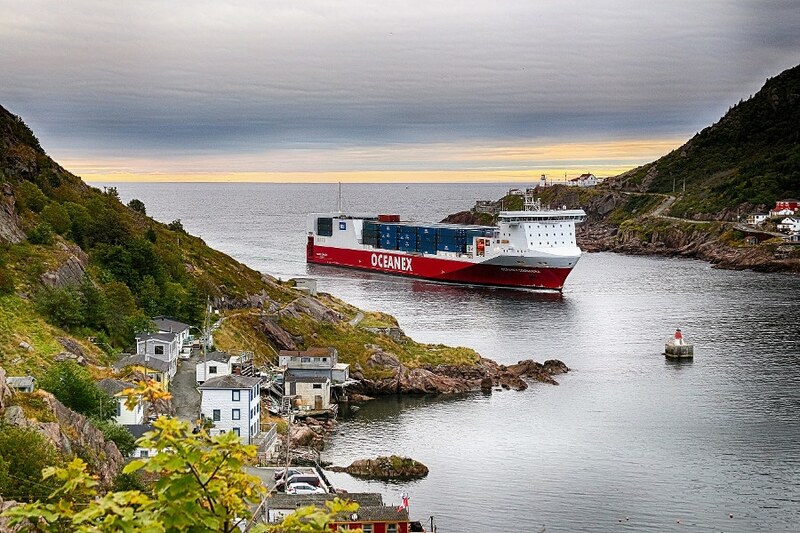 In addition to marine services, Oceanex coordinates through its inland division the movement of cargo to and from its piers in Halifax, Montreal, and St. John’s for distribution throughout the province of Newfoundland and Labrador. Founded in 2007, Green Marine is a North American environmental certification program that evolved from the maritime industry’s desire to surpass environmental regulatory obligations. It is a rigorous, transparent and inclusive program that focuses on priority environmental issues through its 12 different performance indicators. To date, more than 115 ship owners, port authorities, terminal operators and shipyard managers from ocean to ocean in Canada and the United States participate in the initiative. Green Marine is unique in the support it receives from environmental organizations, government agencies and the scientific community. These 60 supporting members contribute to shaping and revising the program.